Dot misses the Bali Agung theatrical performance we watched at the Bali Safari and Marine Park. 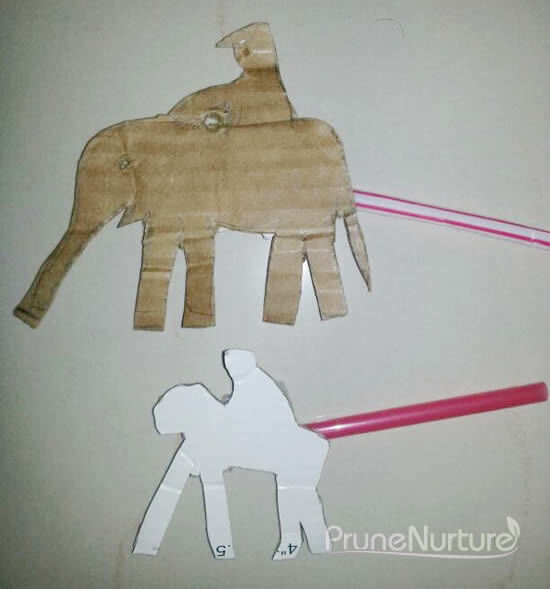 Papa J started to draw on the cardboard, cut out the pieces and attached them to the straws. I was clueless what he was up to and when I realized what is happening, I was amazed at his ingenuity. 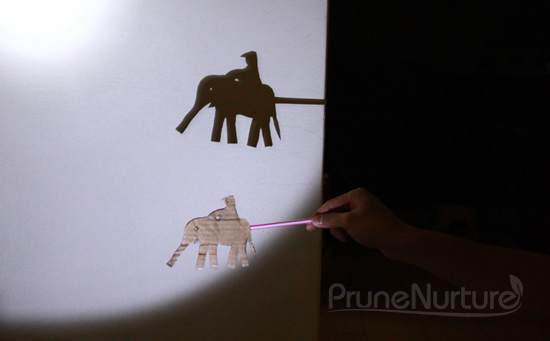 Papa J showed her how the shadow of the animal could grow bigger and bigger as he moved the animal cardboard nearer towards the beam of light and vice versa. 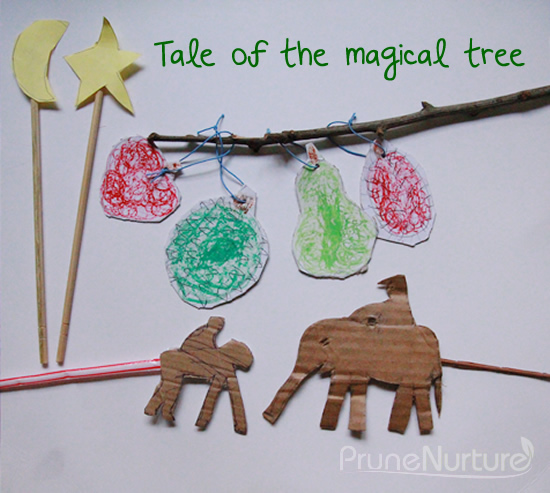 Later, he led Dot to draw, colour, cut and thread the fruits of the magical tree and even made up a story called ‘Tale of the magical tree”. Papa J drew the fruits and guided Dot to colour the fruits. Dot carefully threaded the fruits after cutting them out with Papa J’s supervision. 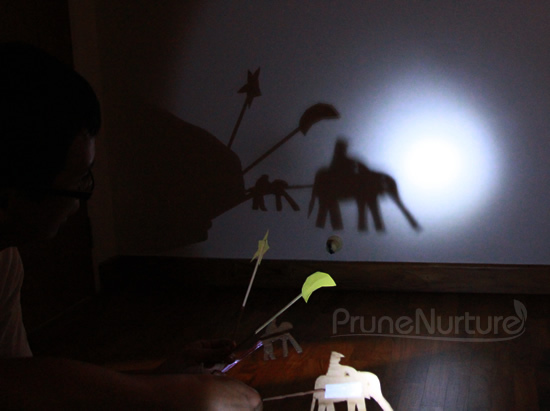 The story is about a man and some animals searching for food but could not find any. They prayed to God and God blessed them by turning a barren tree into a magical tree that bears different kinds of fruits. 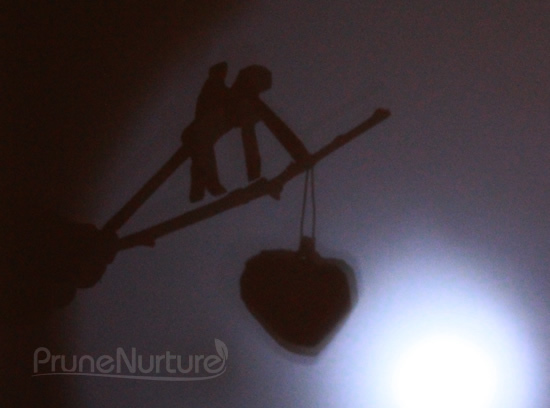 The monkeys, elephant and its rider came up in the night in search of the magical tree. Monkey and baby monkey went for the apple on the tree. What a wonderful way to re-live the beautiful experience Dot has in Bali with the Balinese drum accompaniment (by Dot). 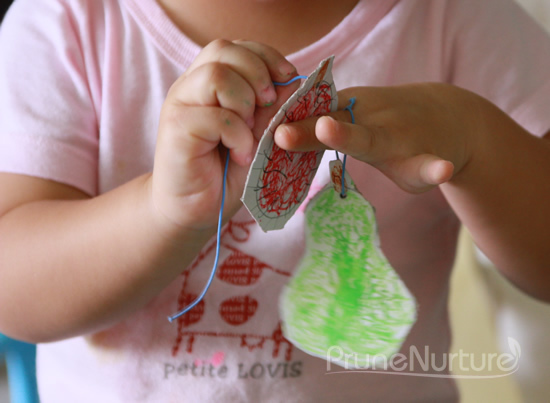 She was definitely entertained by this simple activity made with love!